The Duke and Duchess of Cambridge have flown to France for their first summer family holiday with Prince George and Princess Charlotte. 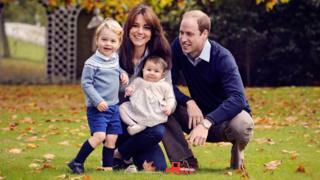 But as the young royals make travelling with two young children look like a breeze, most new parents find taking a trip a daunting prospect. So, without the help of a nanny and a private jet, how do you avoid holiday disaster when travelling with kids? You've got up at the crack of dawn, frantically scrambled to the car, got stuck in traffic and have tired, bored toddlers testing your nerve. The key to getting five minutes' peace on your journey is providing plenty of distractions. Having an arsenal of toys and snacks that can be pulled out at different intervals inevitably helps the time go quicker. Sticker books, a selection of stocking-filler type toys to be opened every hour, comics, books and plenty of finger-food snacks, are what Mumsnet recommends. Playing I-Spy and "count the cars" might only last so long but a portable device for playing Frozen on repeat will last for hours. Just don't forget the charger - or the headphones. When it comes to food, small pieces of easy-to-hold and not-too-sticky foods are best - there is nothing worse than a clammy toddler hand covered in rapidly melting chocolate. Mumsnetters also suggest sippy cups or sports bottles, rather than juice cartons or cans to reduce the high risk of spills. For most parents with young children the idea of stepping onto a packed plane, full of people trying to sleep, is the stuff of nightmares. As the engines roar and the tears begin, adults try to frantically quieten the little ones with endless bouncing on the lap, whilst wishing the ground would swallow them up. But guess what, children cry, and sometimes there is just not much you can do about it. So relax. As long as you're not doing something that is disrespectful to other passengers, it's fine. Fellow parents will probably zone out with a smug look on their face that says "thank goodness that's not me". Try sitting in aisle seats so you don't have to ask anyone to move for you and children can have a little wander (then crack out your distraction tools from tip one). If all else fails, there is bribery. Parenting blogger Melissa Baswell Williams got a huge reaction on social media after posting pictures of the small bags of sweets and ear plugs she gave to nearby passengers on a flight she took with her 11-week old baby. Take time to plan where you are going to stay. The cool apartment in a remote mountain top location might have been idyllic when you were without children, but with babies and toddlers in tow it can leave you in a constant state of panic. Sian Williams, who runs the travel company Baby Friendly Boltholes says: "A holiday can be pretty stressful if you are constantly averting the next disaster with a free standing mirror, sharp-edged table, or un-gated stone steps. "For me, the holy grail is a place that is stylish and parent-friendly. Cool but practical interiors and services to help parents relax whether it's a raft of baby gear so you can pack light, babysitters or meal delivery services so you can enjoy a romantic evening." Mum-of-three Jane, from parenting blog Northern Mum, says you often don't need to take half as much stuff with you as you think you'll need. "You are not the first parents to take children away. People have thought about a lot of this already and hotels and accommodation can often provide things like cots and sterilisers. Do some research about what they already have as it can save you a whole load of hassle." A playground or a toy corner onsite are also good so parents can take it in turns to let the other lie-in whilst one keeps junior occupied. Take a supply of child-friendly medicines with you. Being stuck with an ill child in a foreign country, miles from anywhere, is no fun. If your little one often feels sick on car journeys try to keep them focused on things outside the car, rather than a book or screen, and remember to keep a plastic bag in the glove compartment for any unexpected sickness. The most important weapon for any parent are baby wipes, Mumsnet says, especially when travelling. If your child gets themselves into a mess, when there are limited facilities on a flight or train or for any spills, baby wipes work a treat. A change of clothes is also highly recommended. With all the worries of travelling filling your mind don't forget to have fun - it is a holiday after all. Children are funny, love to explore and the smallest things are often what they enjoy the most (with the bonus being they are often free!). Digging a big hole on the beach, looking for interesting stones and riding on the top deck of the bus are all a thrill when you're a kid. Why not provide them with a camera, travel experts at Thomas Cook recommend - a brilliant way to keep kids entertained and it's great to then look back over the pictures when you get home and see the holiday through your child's eyes. After all the stress, when you really need time to lie on a sun lounger with a cocktail in hand, look for the kids' club. Many hotels and resorts offer them and children often don't want to leave.